Definitely don’t be on deck for this. Mil.ru covered Black Sea Fleet flagship Slava-class CG Moskva (121) firing one of its deck-mounted SS-N-12 ASCMs during inter-fleet training in the Atlantic this week. TK Zvezda provided video of this firing and lots of others. This might be one of the few times (possibly only the second!) 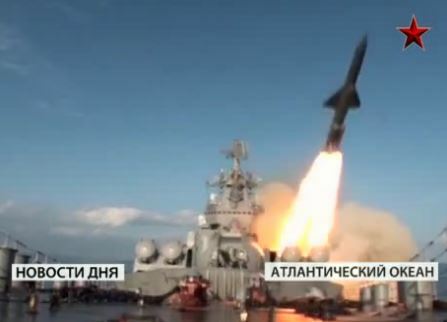 in Moskva’s career that it’s fired its primary weapon system. In 2008, New Times covered what it reported as the very first. This seems somewhat improbable. 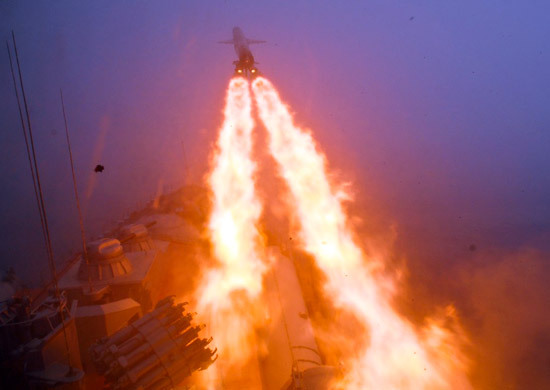 Moskva, née Slava, surely fired its reputed “carrier-killing” SS-N-12s at some time during the zenith / denouement of the Cold War in the mid- and late 1980s. There also had to be acceptance-related firings by the lead unit of the guided missile cruiser class during the early 1980s. Nevertheless, Moskva heads Russian Navy ships currently training and bound for a number of Western hemisphere port calls. No one can really deny that the Navy is getting more miles under the keel than five or ten years ago. The Black Sea Fleet’s predicament is hardly a news story. 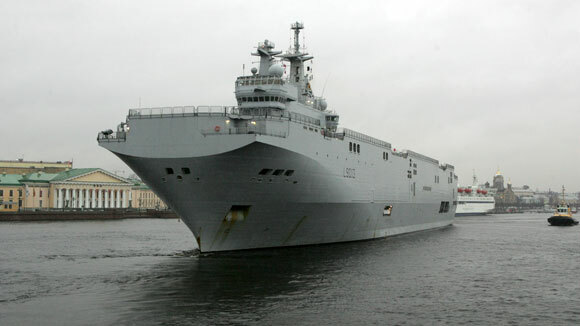 The press in recent months has featured stories claiming that the BSF will receive new ships to replace its aging order-of-battle. The source says the oldest BSF ships—whose service lives have expired and don’t warrant further investment—will be written off. They include the Kara-class CG Ochakov (707), Tango-class SS Saint Prince Georgiy (B-380), probably Kara-class CG Kerch (713), and various transport and auxiliary ships. Ochakov is 37 years old, and spent the past 18 years in the repair yard. The disappearance of the Ochakov and Kerch will leave the BSF with only two major surface combatants—Slava-class CG Moskva (121) and Kashin-class DDG Smetlivyy (810). And there is apparently a rumor that the Moskva will remain in the Pacific after participating in Vostok-2010 this summer. The BSF will also be down to a lone submarine, Kilo-class Alrosa (B-871), which reportedly awaits repair after an engineering casualty during a recent training cruise. 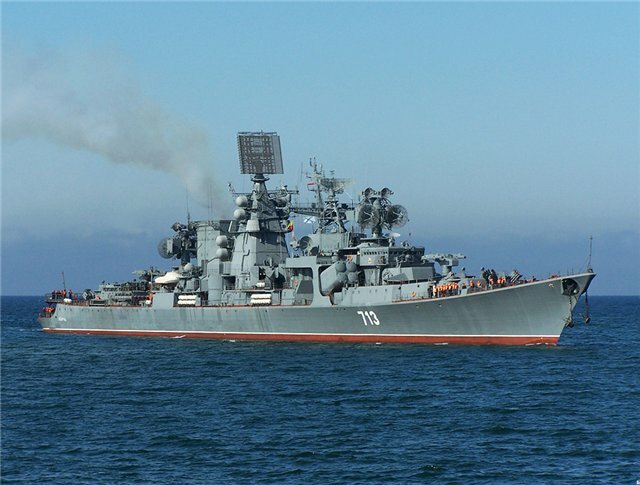 The final decision to write off some ships is driven by a 30 percent cut in the fleet’s maintenance budget [recall Defense Minister Serdyukov saying the repair budget has been cut by 28-30 percent, supposedly in favor of new procurement]. Since February, personnel at the 13th and 91st ship repair plants have been reduced by 2 times, according to Newsru.com. And the repair plants have practically no work this year. So they’re not fixing old ships, but neither are new ones in sight . . . the press noted that the BSF didn’t get new units in the 2000s, will get no new ships this year, and the introduction of new ones isn’t planned. A BSF staff representative told Gzt.ru that several new corvettes of the Steregushchiy type (proyekt 20380) would restore the BSF’s combat potential. The Steregushchiy is in the Baltic Fleet, and a second unit of the class was just launched on 31 March. This seems too slow to help the BSF, even if any of these ships were destined for Sevastopol. Svpressa.ru seconds this line of thought, concluding that malicious people say the fleet’s fate has been decided, and Russia’s Crimean base is folding up, and, in order to avoid a furor, its order-of-battle will be liquidated by taking units out of service.